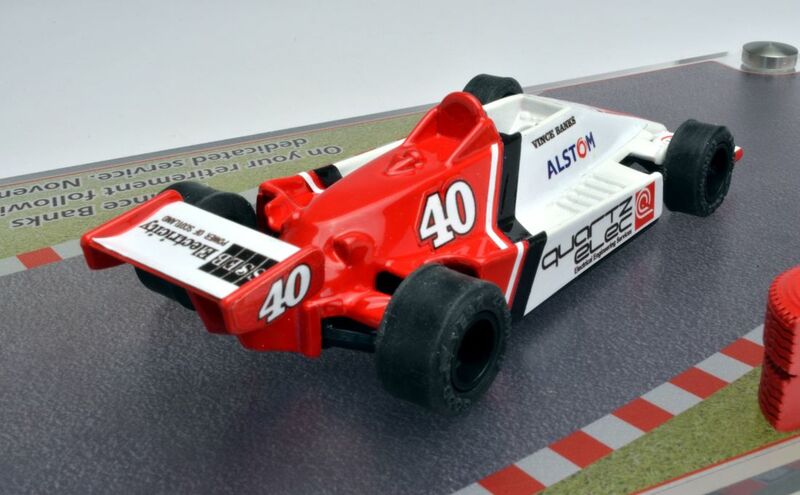 This fictional racer was commissioned as a gift from the client as a retirement gift. 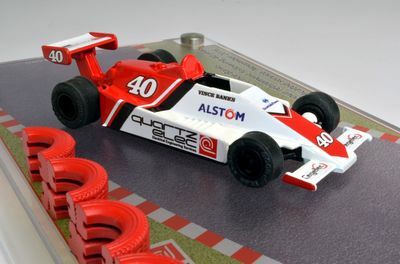 The model displayed the logos of the companies the recipient had worked for over the years and model choice reflected the recipients love of Gould race cars. 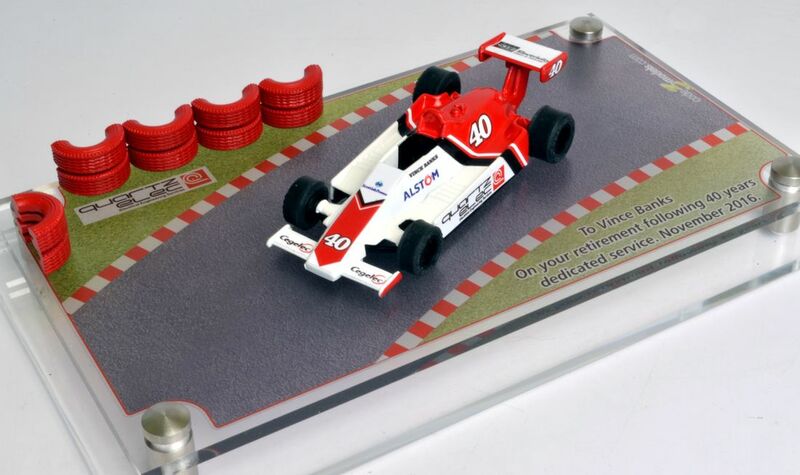 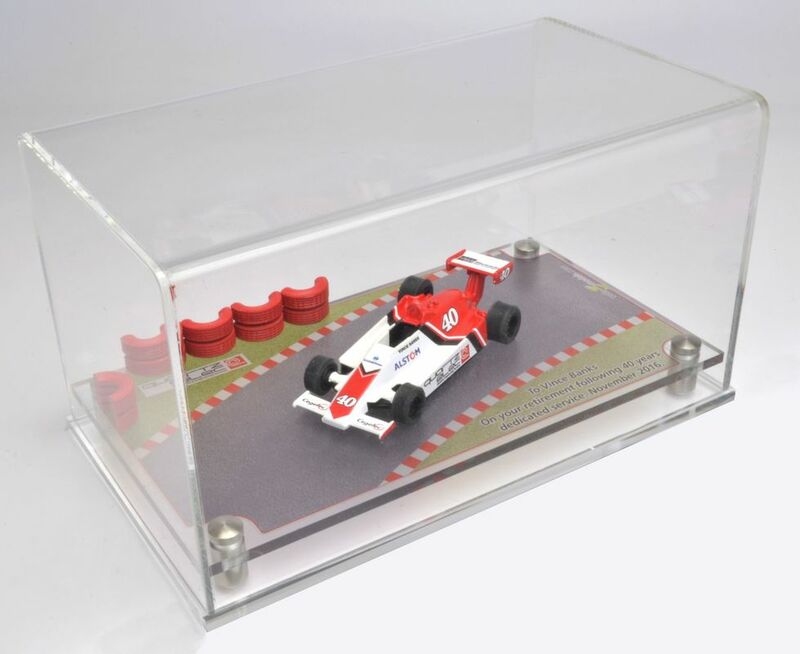 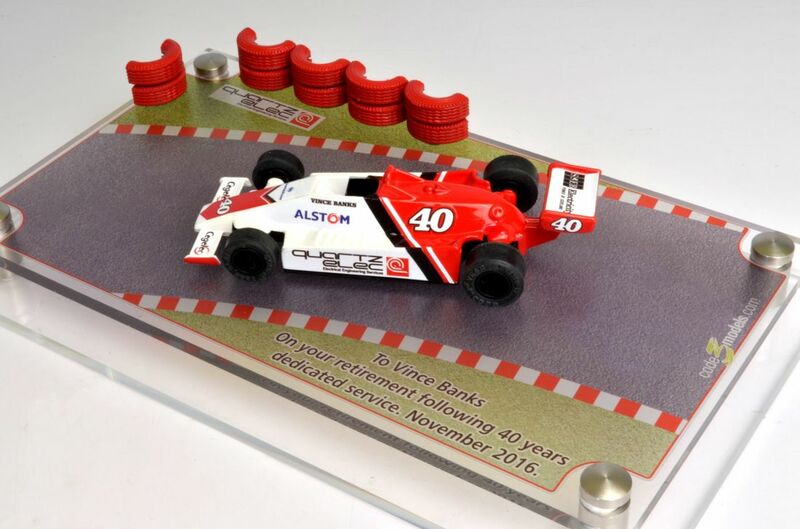 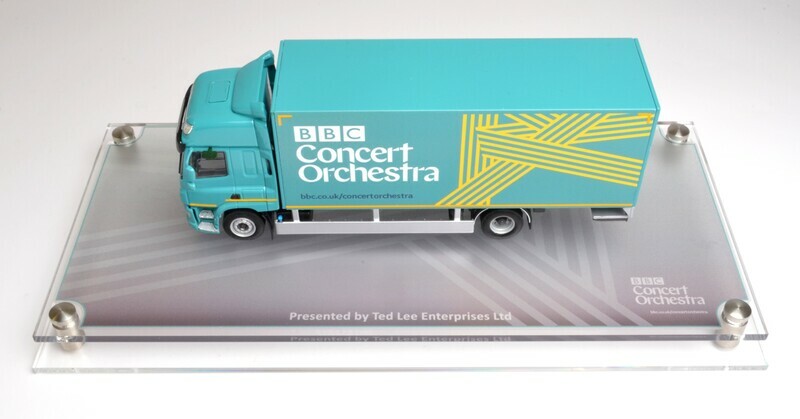 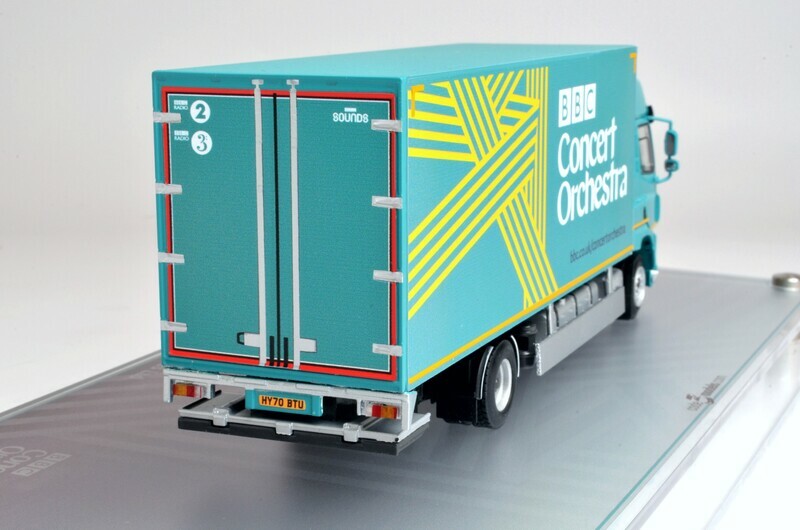 The final acrylic display case was augmented with a race track style graphic base label with personalised dedication plus tyre crash barriers, this was a real winner with everyone who saw it.